Horror films have always taken to the screen in bulk with various studios. The first that comes to most people’s minds would be Carl Laemmle and his Universal Studios that brought the “Classic” horror icons to the screen in form of Dracula, The Wolfman, The Mummy, Frankenstein, and all of their sequels and counterparts. This trend picked up again in the 1980s, long after the death of the studio system, with New Line Cinema, the 1990s with Dimension, and the 2000s with Lions Gate. There was another pair of studios that produced many and in some cases groundbreaking horror and fantasy films for nearly two decades. 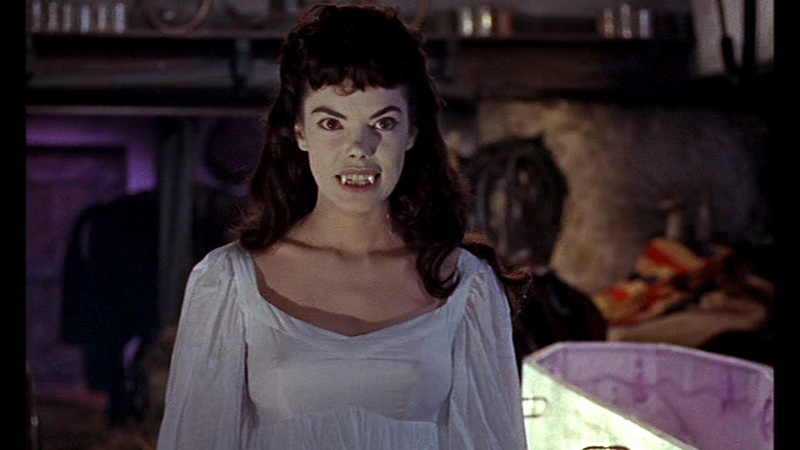 Hammer Films began in 1935 and continued to make films until 1979 (although since 2008 they began a comeback with mixed results) but it was in the 50s, 60s, and 70s that the studio made its mark on cinema with its own interpretation of classic horror stories as well as producing compelling original content. In addition to the movies they produced, the team that made them would forever be in any horror fans heart with writers like Jimmy Sangster, directors like Terrence Fisher, and stars like Peter Cushing and Christopher Lee. Amicus did not have the success, or the longevity, that Hammer enjoyed but did mine horror stories from author Peter Benchley as well as the beloved horror stories from EC Comics Tales from the Crypt and Vault of Horror. 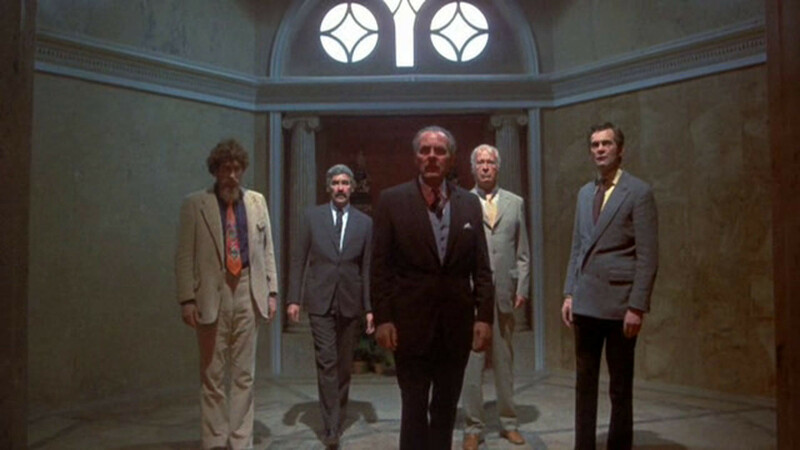 In addition to the stories, Amicus was able to use many of the same stars that inhabited Hammer as well as some borrowed talent like Burgess Meredith, Donald Sutherland, or Terry Thomas. All of the films made by these two studios are worth watching but these are the 7 best from each one. This is an adaptation of Dr. Jekyll and Mr. Hyde (Hammer Films had their version too) where Christopher Lee plays the good doctor gone wrong and Peter Cushing plays the colleague charged with stopping him. Directed by Steven weeks and written by top brass at Amicus, Milton Subotsky, this tale is a reason to give Lee and Cushing another chance to chase each other around, something that will be a major reoccurrence on this list, as well as for the writers to give their thoughts on drugs. There is a big statement about using drugs via needles that changes you into a creature that is doomed to die, but only after hurting the ones close to you. Heavy handed as the message may be the thrills are fun and well executed and the scenes are properly chewed by Lee and Cushing. While not as gimmicky as other Amicus efforts And Now the Screaming Starts or The Beast Must Die! with its wonderfully absurd “Werewolf break”, I, Monster does suffer from poor make-up choices as well as not bringing much new to the Robert Louis Stevenson novel. That being said, the film was and is still quite enjoyable and a must see in the Amicus catalogue. Written by Jimmy Sangster and directed by Terrence Fisher, this film is a direct follow up to the classic Horror of Dracula (more on this later) that was written and directed by the same team. 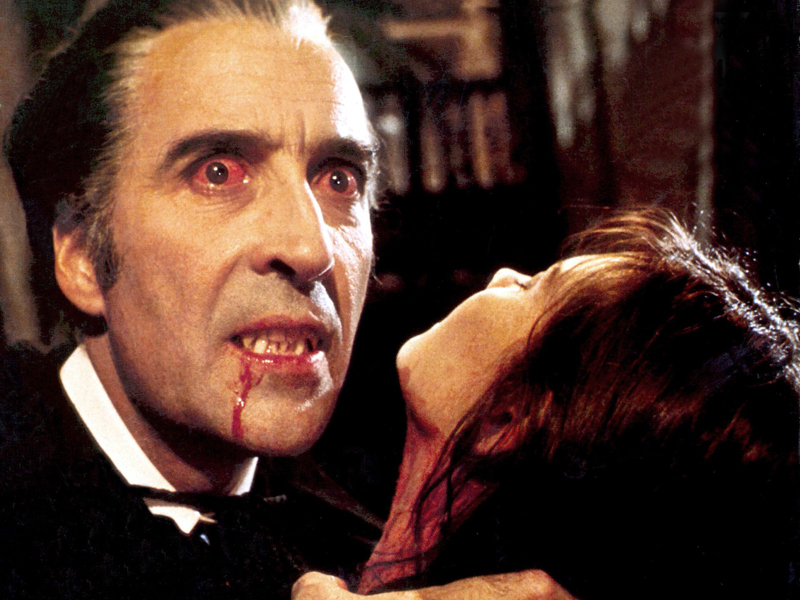 It also stared Peter Cushing as Dr. Van Helsing but they were unable to get Christopher Lee back as Dracula, even though he would reprise his role as the world’s most well-known vampire several times over the next twenty years. From an early scene of a female vampire rising out of the dirt to a recently bit, and desperate, Van Helsing cleansing his wound with a burning cross, the film packs more action into its frame than its predecessor. 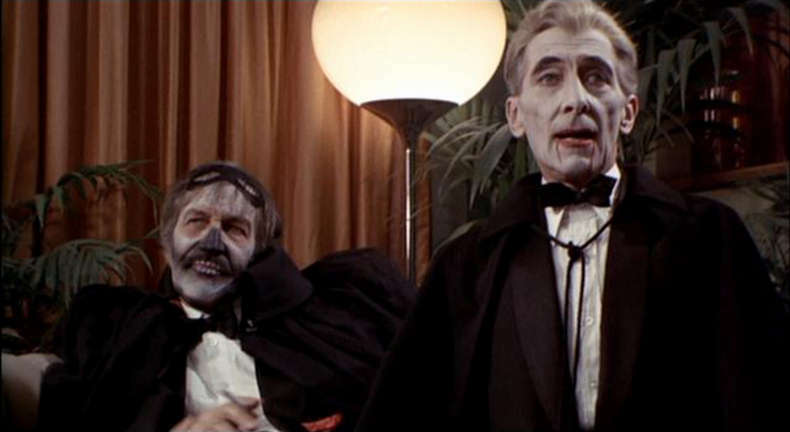 While lacking the same atmosphere and star power of the original, with no Lee or Michael Gough in support of the always strong Cushing, Brides is able to entertain and enthrall by having the main villain not be Dracula but rather a disciple trying to build up the vampire ranks again. Although Lee would go on to play the count in the next 6 Hammer Dracula films, Cushing would not be back for over a decade while he focused on playing his own monster in the Frankenstein series. 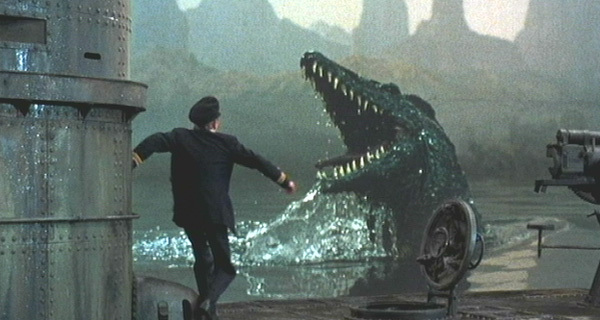 Very likely the last well received, by critics and fans, of the Amicus films, The Land that Time Forgot is a romp with Claymation made monstrous dinosaurs and devolved cavemen vs. a group of men and women aboard a ship that crashes onto the titular land. That being said, it is a delightful exercise in what the old school creature films looked like before the atomic age brought about men in rubber suits and is actually a lot of fun. Missing from this one is the notable cast of many of the other Amicus films but it is not completely at a loss with Doug McClure towing the acting line. While not a horror movie like many of the other films produced during their 20 years in production. Amicus again shows flair with their third to last movie produced and gave us a movie that is worth re-watching and experiencing with our children or younger siblings. Again directed by frequently used man behind the scenes Terence Fisher but this time written by Anthony Hinds (Who wrote many of the Dracula and Frankenstein films under the alias of John Elder), Curse is the Hammer take on the Universal werewolf films starring Lon Chaney Jr. Although it was a one-off picture with no sequels, it has a gruesome side that also brings an original mythos into the almost non-existent werewolf film genre. A child is born on Christmas that is the product of a mute servant girl being raped by a lunatic beggar in Spain and the child is raised by an upper class couple after the mother dies during childbirth. 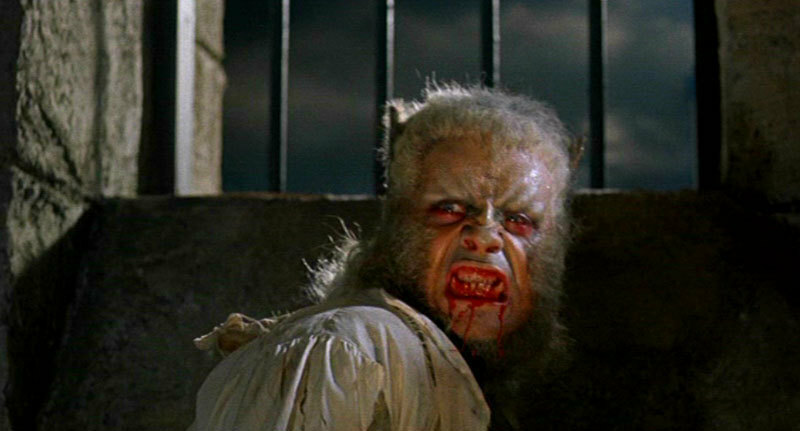 As young man, played by a ferocious in real life Oliver Reed, he develops a taste for blood and the curse that was brought about by his unfortunate birth circumstances reveal him to be a werewolf. Soon he is terrorizing the local town after falling in love with a woman who is cannot be with. Unfortunately it is the love of this woman that is the only thing stopping his transformations and when he is imprisoned and told he will not be executed before the full moon, he changes and is eventually killed by his adopted father-with a silver bullet of course. With a tragic and emotional portrayal of Leon by Reed as well as the religious undertones (the silver bullet being made of a blessed silver cross and his curse being born out of wedlock on Christmas day) Curse of the Werewolf is a great wolf film and stands shoulder to shoulder with the other great Hammer films. Torture Garden, The House that Dripped Blood, Asylum, and From Beyond the Grave are all part of the meat of what Amicus brought to the horror genre with movies that involved 4 or 5 smaller tales and an overarching main story that tied them together. This type of film, Portmanteau or anthology as it would commonly be known, is what set Amicus studios apart from the other studios of the time, even Hammer. While all of the films mentioned above have their charm or quirks, the top 3 of the anthology films begins with one of the studios final offerings in The Vault of Horror. Directed by frequently traded Hammer and Amicus director Roy Ward Baker, VOH has 5 men trapped in a vault and beginning to figure out why they will never make it out alive again-because they are already dead. While the print shown today is a heavily cut one, 3 of the 5 stories, especially the final one involving an art imitating life gag, are still rather effective today. This film also lacks star power with only Denholm Elliott (a Hammer and Amicus regular late in their runs) and an aging Terry-Thomas as star power which hurts it on a nominal level. What it does make up for is a great mix of camp and true terror as the stories are taken from EC comics of the same name. 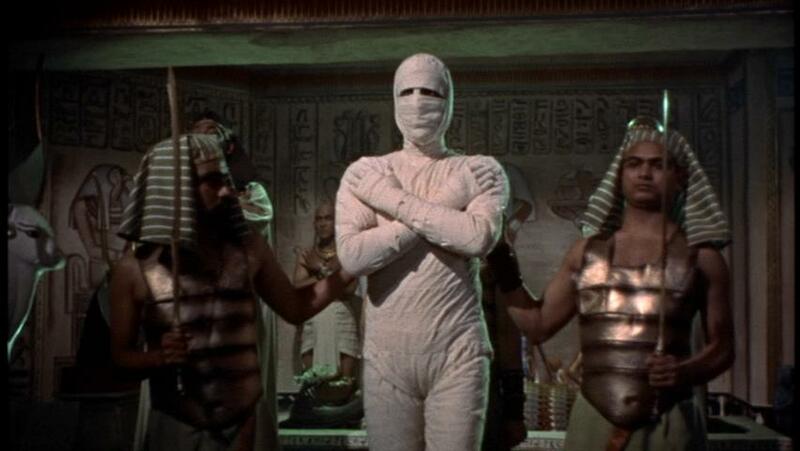 When Universal studios first did The Mummy, it was a property that they had not previously taken from another medium. Instead it was based on a real life expedition to uncover an Egyptian tomb. Almost 3 decades later, Hammer took the mythos and expanded it with a little brutality, for the time, and was in glorious full color. Starring Christopher Lee in the dual parts of the mummy and the man Kharis as well as Peter Cushing playing Lead excavator John Banning, the film centers on the mummy Kharis taking his revenge on all those who entered his tomb as well as discovering the reincarnation of his lover. While not having the emotional punch of Van Helsing vs. Dracula, it is fun to see the overpowering and seemingly invincible Lee aggressively go after the much smaller Cushing. Again written by Jimmy Sangster and directed by Terrence Fisher, the film stands out for fleshing out the original Mummy story while adding a lot more graphic ends for the poor team of excavators. Much like Targets with Boris Karloff before it, Madhouse has its aging horror icon, Vincent Price, playing an aging horror icon that has come out of retirement. Different than the AIP picture Theater of Blood made around the same time with its motive, instead of revenge for bad reviews the killing revolves around insanity, it has Vincent Price in a more subdued and subtle performance than the over the top Dr. Phibes or his character from Theater of Blood. Prices main acting companions are Robert Quarry and Peter Cushing. Price and Cushing surprisingly did few films together during their careers but make the most of it in Madhouse with a sort of character role reversal in what the viewer expects to see. The script and overall feel of the film come off very well and it is a sincere love note to the older films of Price, even going as far as showing clips from his more famous roles of the previous decades. Being one of the last 4 films Amicus produced as well as being the last traditional horror movie in their catalogue, Madhouse is a nice way to say goodbye to the once powerful studio that rivaled the seemingly unstoppable juggernaut that was Hammer.